The ocean has gone flat but still the Great Algorithm of the Sky (the internet) continues to bestow positiveness at every turn. We welcome good news and it helps balance the unfortunate truths that peek in now and then. Let’s start off with the surf world. 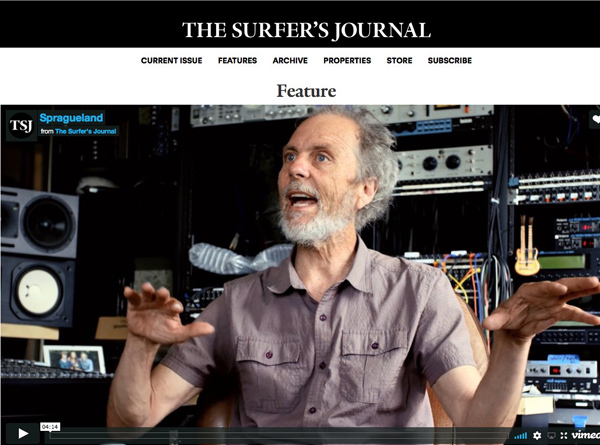 You know a bit back The Surfer’s Journal invited me to be part of their publication. As if the honor wasn’t enough, they spiced up the deal with a cool vid project. Young Sam Moody, surf vid and photo guy, shows up a couple of months back along with the fellow that wrote the article, Kimball Taylor. 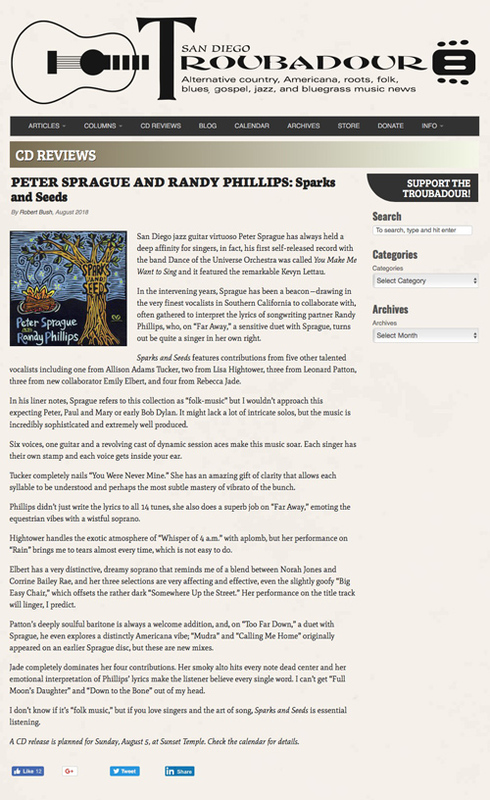 Together they document SpragueLand both with my words and with Sam’s cool visual sense. He’s included some vintage surfing footage of my brother Tripp and I, some musical slices, and some of me talking with my hands in slo-mo. The vid is now living on the SJ website here. After Sam found out a lot about me I then inquired about his arc being a young and famous surf videographer. It turns out he went to the Brooks Institute in Santa Barbara after high school to study photography. He didn’t dig the rigid nature of the training and so after a year, he quit, used his tuition money to by a $23,000 RED camera and then forged his life traveling and shooting vid clips for famous surfers. Rad, risky move and it worked out. I predict he’ll live happily ever after in the tube of a grinding Indo barrel! Next up, plowing through the red tape noise from back in NYC. 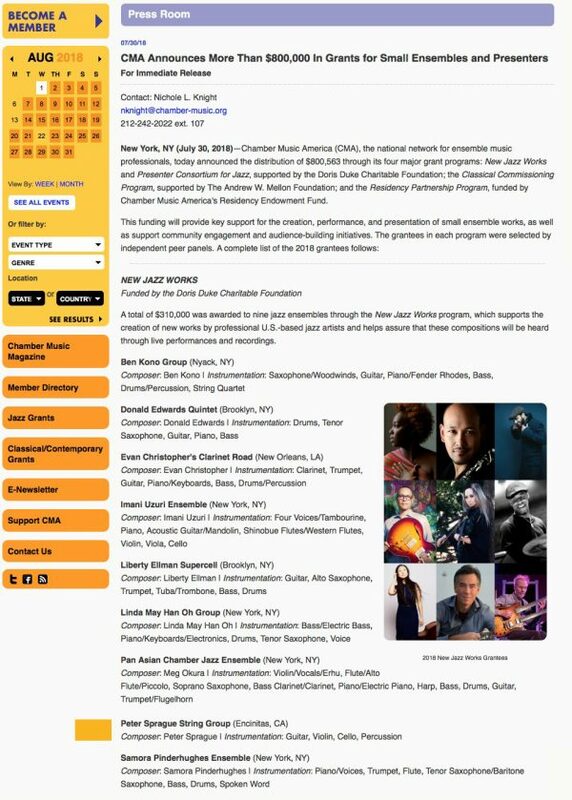 The art organization Chamber Music America does cool things with their money and with their connection to the Doris Duke Foundation. Back in 2010 I was a recipient of the New Jazz Works grant and this led to the creation of the three movement piece Dr. Einstein’s Spin. With the string consort group we performed the composition and recorded it too. What a gift, what an honor, what fun it all was. And still that piece lives on (we performed in two weeks ago) and has a continued arc. That’s a cool thing about art—super long shelf life! And here it is in 2018 and I entered the competition once again, this time with music from the Samba Andaluza recording. The group is Bridget Dolkas on violin, Lars Hoefs on cello, and me on guitar. They liked it and even with blindfolds on and a nationwide palette to choose from they selected me and eight other musos to come up with some fancy notes. We’re all thrilled and this means bucks to stay creative. Thanks Doris Duke! For this week I only have one gig but it’s a special one! 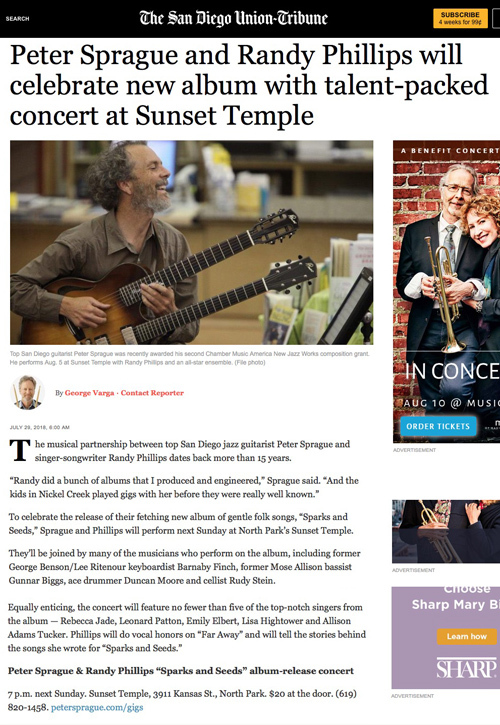 The CD release concert is on Sunday at 7pm at the Sunset Temple in San Diego. We’ve got a great band and all of the vocalists from the project lined up to play and if you have never been to the Sunset Temple you’ll LOVE the venue. Soulful to the hilt and great sound. 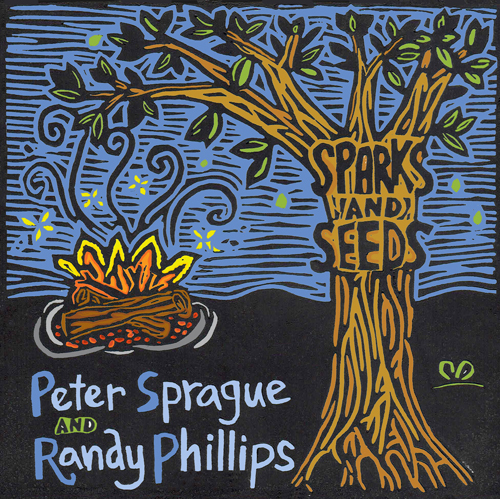 We are super thankful for the publicity and the icing on the cake would be if you, fine folks of music, ventured out into the night and joined us for a moment of sonic explorations and all things Sparks and Seeds. Guaranteed good time had by all! Look below for the fine print.